When I was first introduced to Doc Thompson in the 90s, we were support players at Majic 105 in Cleveland, and he seemed genuinely thrilled to meet me. He said he had listened to me "as a kid", which I thought was funny because he had such a youthful look even then, which he never lost. 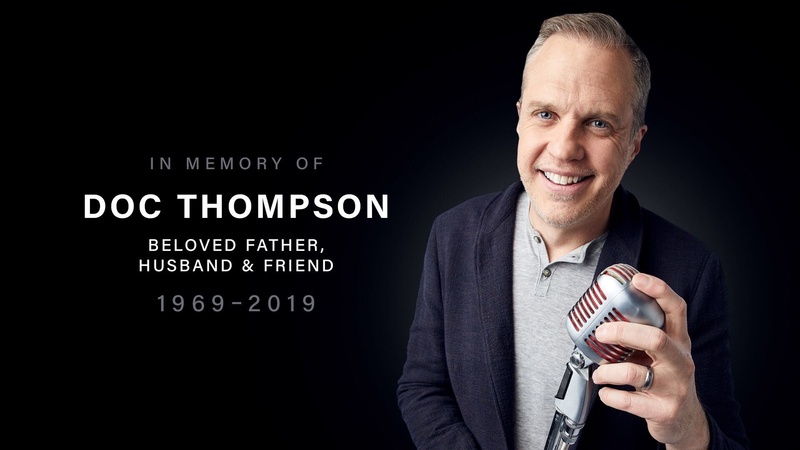 I believed he really was one of the few people who heard me do mornings at a suburban Cleveland signal the previous decade because he made radio his business. He needed to know everything and everyone who was on radio at all times. It was deep in his DNA. At a time when a whole crew of us was trying to get a larger piece of the sheer luxury of waking into the number one station in Cleveland, Doc just stepped up and forged a connection with the top dog: John Lanigan; a guy who was at that time in the middle of an insane local run atop all other Cleveland morning shows. While most of us couldn't get two words out of Lanigan, Doc became his producer and confidante. They spoke the same language. They shared the pedigree of fierce independence and greatness. Doc took a thing that was number one and actually made it better. He opened the show to a whole younger crowd. He was full of ideas for promotions and bits. He was a blast to be around. Also, he opened Lanigan's show to contributors who never would have had a chance to get their bit on the air, me among them. The thrill of hearing my song parody on Lanigan's show was thanks to Doc. Later Doc became a program director and talk radio host. He talked to me several times about coming on board with him in places like, I believe, Dothan AL and Richmond VA. We never did wind up working together again. His star rose steadily. He worked for quite some time alongside Glen Beck amongst others. That's how good he was. The industry changed. The industry became smaller. Doc never did. The industry changed. The industry became smaller. Doc never did. While everybody, me included, was getting out (I decided to go to medical school and am just finishing up now) Doc went full tilt at the radio windmill. They say he was run over by a train. Makes zero sense. Unless…you take into account that he had his ear buds on and was engrossed in radio to the point that he did not hear an oncoming train. Metaphorically that's the train that all the cowards like me got out of radio to avoid, but to Doc radio was his world and always would be. Very soon I am going to be a physician and people will call me Doctor. But I want to tell all you good people that I was privileged to know and work with a man who earned a doctorate in radio. Power Talk 1360: The Valley's political talk headquarters. Modesto's home for Rush Limbaugh, Sean Hannity, Glenn Beck and Chad Benson.